We offer a range of two way radio hire solutions to suit your industry sector needs. Seasonal hire of mobile radio equipment can be installed into vehicles and farm machinery. A repeater with an aerial system can increase the coverage area. Flexible terms and hire periods are available, which are ideal when the hire can be controlled by weather and crop harvesting. Do you run multiple events throughout the year? We offer discount for multiple and frequent hires, and our reliability and level of service guarantees equipment delivered on time, charged, and ready to use when you take it out of the box! If you need advice on radio coverage for an event, unsure of what accessories or features are available, or need a comparative quote then get in touch and our hire team will be happy to offer assistance. Over the last 25 years of trading we have built up a number of strong relationships with charitable organisations. We understand the aim is raise as much money and awareness as possible, and through using our experience we often save them time and money which frees up their resources to be spent on other aspects of the event. Robust, submersible, Atex approved? These are just a few options available to you. With our experience we can advise on the most suitable type of equipment you may require depending upon your working environment. We can provide single or multiple site working, and for long term hire we can incorporate data systems offering a complete solution. We are able to offer equipment capable of caller id, lone worker and man down which will report to a base unit or telephone. Also available are products suitable for multi site operation - ideal when your employees are isolated and vulnerable to the surrounding environment. Season long contracts are available, with the ability to increase the quantity as and when required. Ideal for games that attract larger attendances, International matches, or campaigned events. 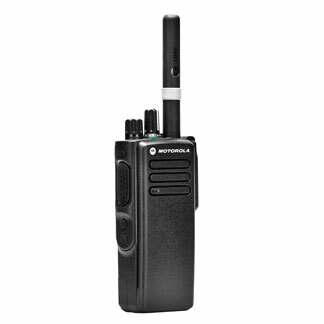 Voice channel recorders, transmit interrupt, and intelligent batteries are some features available to ensure the radio system works efficiently. And an out of hours contact means that you always have support if required.